The Tapping Solution for Autoimmune Disorders Program is Designed to Address the Specific Causes and to Bring You Lasting Relief! Dr. Kim D'Eramo is a physician, speaker, number one best-selling author of The Mind Body Toolkit, and founder of The American Institute of Mind Body Medicine. 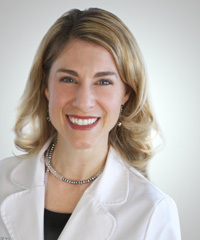 She is board certified in emergency medicine and trained at Emory University's Grady Hospital in Atlanta. She attended medical school at the University of New England College of Osteopathic Medicine where she also completed a fellowship training in osteopathic medicine centered on the mind-body connection and the body's ability to heal itself. All materials provided for The Tapping Solution For Autoimmune Disorders Program are provided for informational or educational purposes only and are not intended to be, or serve as a substitute for, professional medical/psychological advice, examination, diagnosis or treatment. Always seek the advice of your physician or other qualified professional with any questions you may have regarding a psychological or medical condition. Never disregard professional advice or medical advice or delay in seeking it because of information you accessed on or through any portion of The Tapping Solution For Autoimmune Disorders Program. YOUR USE OF THE TAPPING SOLUTION FOR AUTOIMMUNE DISORDERS PROGRAM IS AT YOUR SOLE RISK. INFORMATION PROVIDED IN THE PROGRAM IS PROVIDED "AS IS" AND WITHOUT ANY REPRESENTATIONS OR WARRANTIES OF ANY KIND. 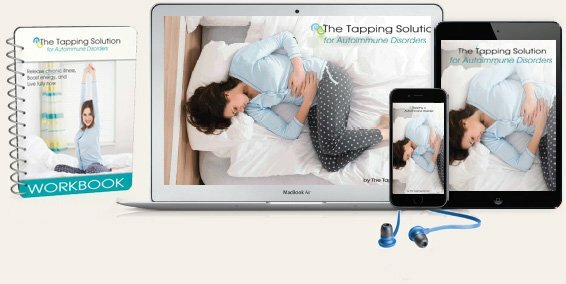 The Tapping Solution For Autoimmune Disorders Program may provide links to other sites on the World Wide Web for the convenience of users in locating practitioners, workshops, products, information, and services related to Tapping. These sites are maintained by third parties over whom the owners of The Tapping Solution exercise no control. Accordingly, the owners of The Tapping Solution For Autoimmune Disorders Program expressly disclaim any responsibility for the content, the accuracy of the information, and/or quality of products or services provided by or advertised on these third party websites.